Abdullah II is the king of Jordan. His country is experiencing rapid economic growth as a result of his economic reforms. He remains worried about poverty and unemployment in his country. At times, he remains sleepless and restless. He says, ‘What keeps me up at night is poverty and unemployment’. If unemployment can deprive a sensible king of his sleep, we can very well imagine the pain it gives to the unemployed and their families. Of course, unemployment is a universal problem. Even in developed world, millions of people are unemployed. Unemployment plagues the whole world. Getting ready to go for job interviews and then returning home with depressing looks is an everyday matter with the unemployed. The pangs of unemployment are known only to the unemployed and their families. In this story, we are going to talk about the tragic death of an unemployed youth that occurred in Karachi. Karachi is one of the largest cities of the world. Situated on the coastline of the Arabian Sea, it is the main sea port of Pakistan. It is a premier hub of business, trade, economy, banking and higher education. On account of its large contribution to Pakistan’s economy, the city is called the financial capital of Pakistan. This is why unemployed people from different parts of the country move to Karachi to find a suitable job there. 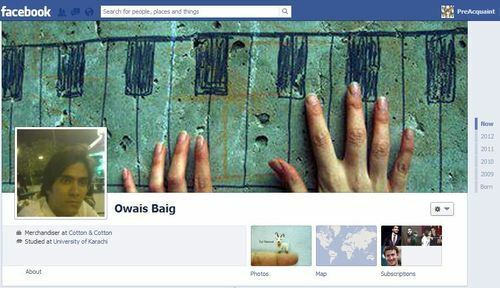 Owais Baig , an intelligent, energetic , sober and decent youth of 23 lived in Gulistan-e-Jauher in Karachi. He was a position holder in Bachelor of Commerce (B.Com) at the University of Karachi . He wanted to pursue his MBA studies but he did not have sufficient means to meet his own educational expenses. In addition, on account of the illness of his father, Mr. Rasheed Baig, his family needed someone to provide for the family. So, he decided to find a job. He applied for a job at the Karachi Electricity Supply Company (KESC). He was called for an interview on Wednesday, 28th November, 2012. 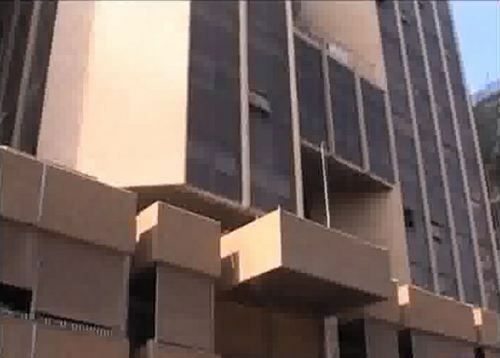 The venue of the interview was State Life Insurance Building on Abdullah Haroon Road, Saddar, Karachi. It is a multi-storey building housing the offices of various companies. On November 28, it was an ordinary day. He dressed neatly, took his documents, asked his mother to pray for him and went out. Around 1500 people were present in the building on that day. He was very happy and confident when he reached the building. He went to the waiting room. He was waiting there for his turn to appear before the panel of the interviewers. Suddenly, fire erupted at the first floor of the building due to short circuit. People in the building underestimated the fire and did not inform the firefighters on time. They tried to extinguish the fire themselves but they did not succeed . It was only later that they informed the firefighters. The fire began to move towards other floors. Smoke and suffocation caused fear among hundreds of people working in the building. Some people managed to escape, others ran to the rooftop. In the chaos and confusion, Baig did not know what to do, where to go and how to escape. He failed to find a way out and desperately tried to open the nearby window to avoid suffocation. He managed to open it and was driven out by the fear of the approaching smoke and fire. He went out of the window and gripped the edge. People gathered below the building, media men arrived on the scene with their camera crews. He looked down at people as if he were asking for help. But, the burning building kept people away from it. No one could enter the structure. 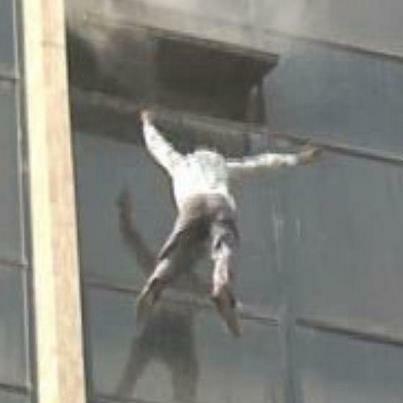 Owais remained hanging by the ledge of the windows for 17 minutes. He spent the last moments in agony. 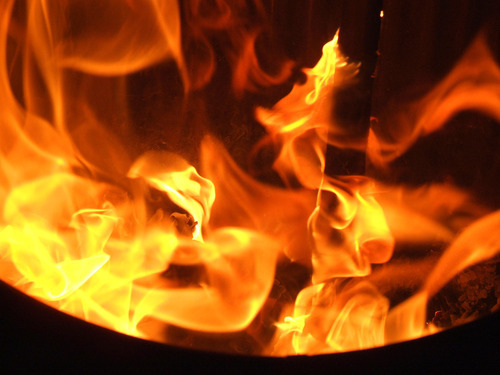 The heat of the fire warmed the window so his hands could not continue to hold it. He lost the grip of the edge and fell down from the eighth floor of the building. With a thud, his young body struck the asphalt ground , the crowd of people screamed. He was critically injured. Most of his bones were broken. He was taken to JPMC hospital but died due to critical injuries. The fire was extinguished later and people inside the building were safely evacuated by the rescuers and the firefighters. His death served as breaking news for media in Pakistan. People were glued to their screens when they watched the clips of his tragic and sad interaction with death . He was the eldest among his siblings. His death was a trauma for his family. His old mother cried violently. When we look at his page on facebook , we come to know that he loved life, and he loved his relatives. He loved to live. Should the firefighters had come on time with snorkels, he could have been saved. His death reminds us of great tragedies we have read. He died heroically. He did not give up till the last moment. When his hands failed to hold the the hot window edge, he let his body fall down . His fall was not a suicidal fall. It was a heroic and desperate attempt to save a life. We shudder with fear when we try to imagine the tragic soliloquies that he might have uttered as a result of his helpless interaction with death. His struggle for life shows us human faith in hope. May his soul rest in peace.